Indoor wireless wave 2 AP - dual radio (802.11 a/b/g/n and 802.11 a/n/ac, 2x2 MU-MIMO), 1 x GE RJ45 port, Ceiling/wall mount kit included. 4 internal antennas, Order 802.3af PoE injector GPI-115 Region Code A This is the Base Model. It doesn't include any Services with the appliance, but may include trial support and eligible for optional services from an Authorized Reseller such as SerenIT. *For any questions on this listing. Please reference the manufacturer part #. 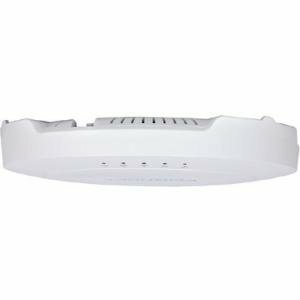 Fortinet | FAP-223E-A | FortiAP-223E Indoor Wireless Wave 2 AP - Dual Radio (802.11 a/b/g/n and 802.11 a/n/ac, 2x2 MU-MIMO), 1 x GE RJ45 Port, Ceiling/Wall Mount kit, 4 External Antennas Included. 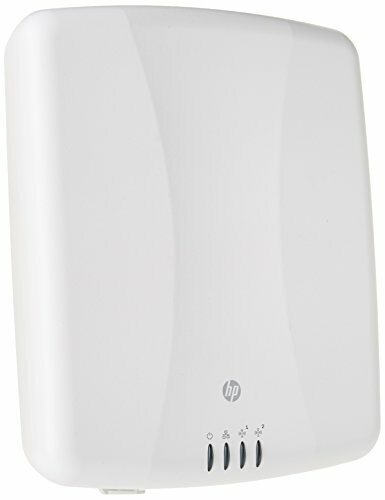 Indoor wireless wave 2 AP - dual radio (802.11 a/b/g/n and 802.11 a/n/ac, 2x2 MU-MIMO), 1 x GE RJ45 port, Ceiling/wall mount kit included, 4 external antennas included. Order 802.3af PoE injector GPI-115. Region Code A This is the Base Model. It doesn't include any Services with the appliance, but may include trial support and eligible for optional services from an Authorized Reseller such as SerenIT. *For any questions on this listing. Please reference the manufacturer part #. 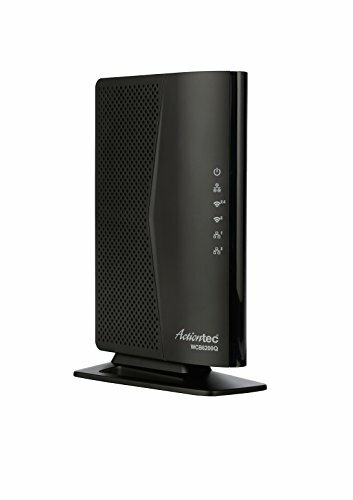 Indoor wireless AP - 1 x GE RJ45 port, dual radio (802.11 a/n/ac and 802.11 b/g/n, 2x2 MIMO), Ceiling/wall mount kit included, Power adapter not included. For Gigabit PoE injector order: GPI-115. For AC power adapter order: SP-FG20C-PA. Region Code A This is the Base Model. It doesn't include any Services with the appliance, but may include trial support and eligible for optional services from an Authorized Reseller such as SerenIT. *For any questions on this listing. Please reference the manufacturer part #. 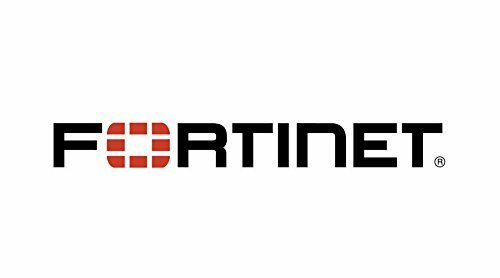 Fortinet | FAP-223C-A | FortiAP-223C Indoor Wireless AP - 1 x GE RJ45 Port, Dual Radio (802.11 b/g/n and 802.11 a/n/ac, 2x2 MIMO), External Antennas, Power Adapter not Included. 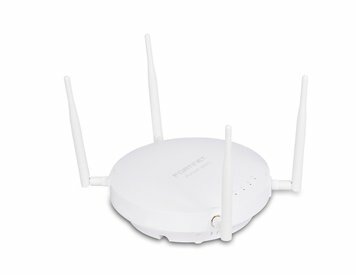 Fortinet | FAP-222E-A | FortiAP-222E Outdoor Wireless Wave 2 AP - Dual Radio (802.11 a/b/g/n and 802.11 a/n/ac, 2x2 MU-MIMO, Pole/Wall Mount kit and PoE Injector and 5 Antennas Included. Outdoor wireless wave 2 AP - dual radio (802.11 a/b/g/n and 802.11 a/n/ac, 2x2 MU-MIMO and Bluetooth/BLE), 1 x GE RJ45 port, pole/wall mount kit, lightning protector and PoE injector and 5 antennas included. Region Code A This is the Base Model. It doesn't include any Services with the appliance, but may include trial support and eligible for optional services from an Authorized Reseller such as SerenIT. *For any questions on this listing. Please reference the manufacturer part #. 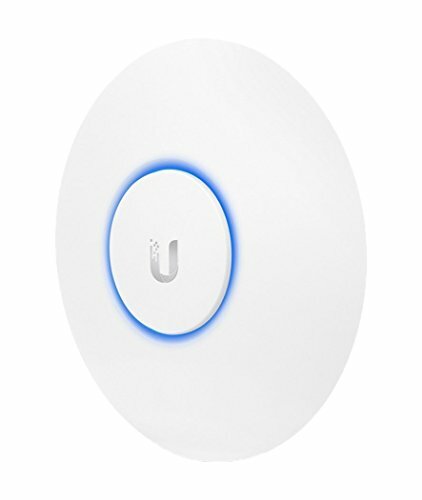 Universal Indoor wireless AP - dual radio (Radio1-3x3 MIMO 2.4/5GHz 802.11 a/b/g/n @ 450Mbps (600Mbps turbo), Radio-2 3x3 MU-MIMO 5GHz 802.11a/n/ac wave2 @ 2600Mbps with TX Beam-forming and 3rd BLE radio, 2 high availability GbE RJ45 802.3at PoE ports, Internal antennas, Ceiling/wall mount kit included, Power adapter not included. For Gigabit PoE injector order: GPI-130. Region Code A This is the Base Model. It doesn't include any Services with the appliance, but may include trial support and eligible for optional services from an Authorized Reseller such as SerenIT. *For any questions on this listing. Please reference the manufacturer part #. 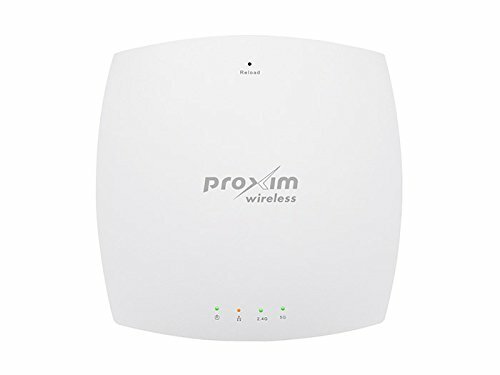 Universal Indoor wireless AP - dual radio (Radio1-3x3 MIMO 2.4/5GHz 802.11 a/b/g/n @ 450Mbps (600Mbps turbo), Radio-2 3x3 MU-MIMO 5GHz 802.11a/n/ac wave2 @ 2600Mbps with TX Beam-forming and 3rd BLE radio, 2 high availability GbE RJ45 802.3at PoE ports, External antennas, Ceiling/wall mount kit included, Power adapter not included. For Gigabit PoE injector order: GPI-130. Region Code A This is the Base Model. It doesn't include any Services with the appliance, but may include trial support and eligible for optional services from an Authorized Reseller such as SerenIT. *For any questions on this listing. Please reference the manufacturer part #. 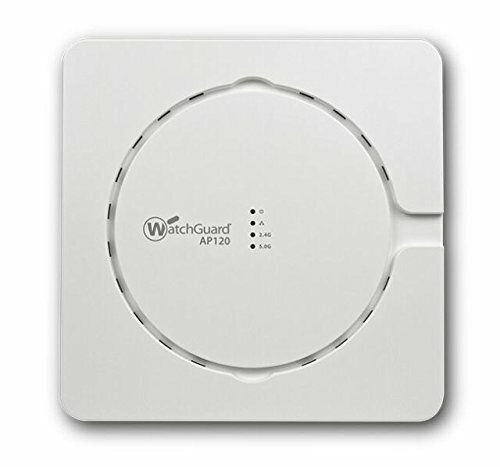 The WatchGuard AP120 is an enterprise grade MIMO 802.11ac access point with dual concurrent 5 GHz and 2.4 GHz band radios supporting 802.11a/n/ac, 802.11b/g/n, two spatial streams, and data rates of up to 866 Mbps and 300 Mbps, respectively. 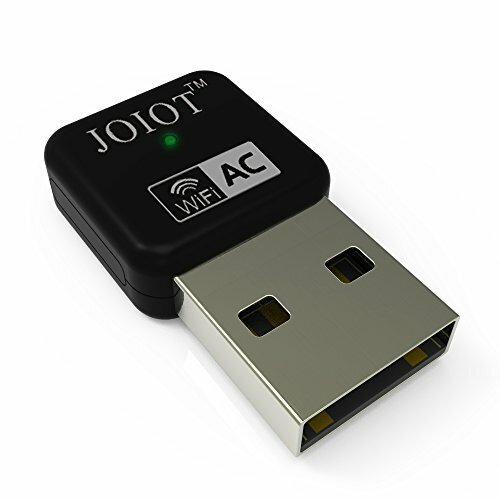 The device operates on AC power or can be powered using PoE. 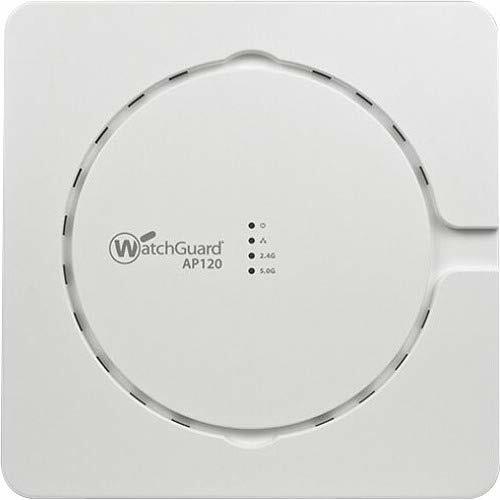 The AP120 is ideal for delivering high performance in enterprise environments with state-of-the-art Wi-Fi clients or where distinct applications need to run on separate radios or frequency bands. Examples include dedicating the 5 GHz radio for mission critical VoIP and 802.11ac clients and using the 2.4 GHz radio for data communication and guest traffic. Flexible management options enable users to manage AP120 units via a WatchGuard Wi-Fi Cloud subscription, or via a Firebox or XTM appliance. A Firebox or XTM appliance is not required for AP120 units managed by the Wi-Fi Cloud. ORiNOCO® AP-8100 is a high performance, very reliable 2x2 MIMO access point with 20 dBm dual-chain aggregate Transmission power. It features incredible performance of 300 Mbps aggregate throughput and unparalleled flexibility. 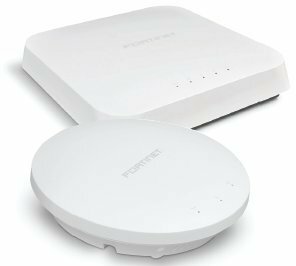 In addition, Proxim's new 802.11n access point has been developed by combining ergonomics and cutting edge design that simplifies installation and deployment. Organizations of all sizes encompassing Small and Medium Enterprises, Health Care, Governments and Public safety departments, can achieve higher performance than their existing wired and wireless LANs while avoiding High OPEX and CAPEX, deployment challenges and additional network planning. The primary advantages of 802.11n compliant products are significantly higher throughput and longer range. 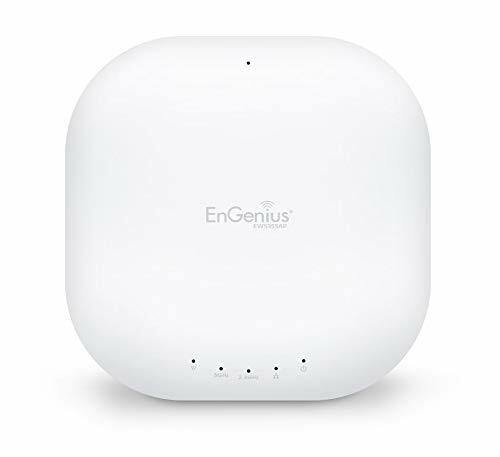 Engenius neutron EWS355AP 11aC Wave 2 managed indoor wireless access point delivers blazing fast 1.3 Gbps speeds and a higher user capacity. It supercharges performance up to 30% faster than traditional 3x3 APS. 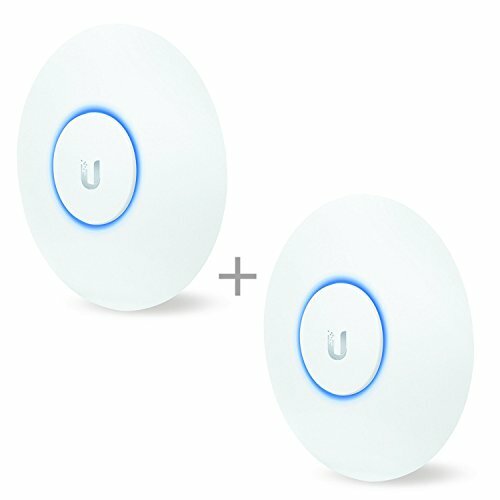 This dual band ap with mu-mimo Features meshing, supports poe, and improves connection reliability for exceptional next-generation, business-class wifi. Compare prices on A/b/g/n Ap Dual Radio at LiveSaler.com – use promo codes and coupons for best offers and deals. We work hard to get you amazing deals and collect all avail hot offers online and represent it in one place for the customers. Now our visitors can leverage benefits of big brands and heavy discounts available for that day and for famous brands. We try to makes comparison shopping easy with Product Reviews, Merchant Ratings, Deal Alerts & Coupons. Find Deals, Compare Prices, Read Reviews & Save Money.